If you are a junior or adult, just starting out, need some help or want to improve your standard come and book a lesson with our coaches or come to one of our squads. Many of you may already know me from being that young 9 year old boy who played every weekend at this club. Tennis became my life passion and I achieved many of my goals during my playing career from playing or Essex at 10yrs of age to playful on the Men’s ATP circuit. My aim for everyone who is currently a part of this club is to ensure that all your needs are met. I believe that tennis is a game for life and can be enjoyed by all ages and standards which should be reflected in the club atmosphere. I coach adults and juniors of all ages and abilities. Over my 15 years of tennis coaching my highlights have been creating a high performance academy, Compete Tennis, which will be linked with this club. I have individually coached over 80 junior players to county/regional/national levels. I have also started up ‘HIT Tennis’ (Higgins In Tennis) a successful talent identification scheme run within numerous schools. For the past 11 years I have been Essex County Captain and Selector : 8&U, 9&U, 10&U, 12&U, 14&U and 18&U. I began playing tennis at the age 10 at David Lloyd and won a scholarship membership when 11, playing performance squads and tournaments. At Redbridge I represented the club n a number of leagues and single tournaments. I then joined ‘COMPETE TENNIS’ where i started my coaching levels, learning and gaining valuable experience from the COMPETE team of coaches. Once fully qualified I came to Gidea Park, coaching all levels and ages. My aim us to help and improve our members both junior and adult. 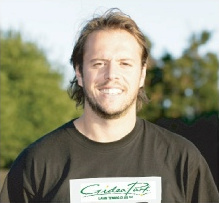 2011 Aug – Gidea Park LTC covering tennis squad programme for Head Coach. Privately coach mini tennis players and juniors players to progress their potential though our tennis programme and onwards to county level and adults. Progressed through club performance squads and represented club in County Junior AEGON Team Tennis. Played for girls/boys Chelmsford League teams; through all age groups. 2007 – Concentrated on my lover for tennis & gave up all other after school activities!! I left school early to further my education and tennis development at a full time tennis school. This enabled me to develop my game and help to achieve my goals, which resulted in a top 20 ranking in Great Britain for my age. Coaching for 2/3 years with a level 3 qualified coaching status. I am passionate about my coaching and enjoy seeing players grow and improve. I can use my past playing experience to help others overcome some of the hurdles I faced when I was playing. For the past 3 years, I have been coaching in schools development groups and in the ‘HIT’ School Tennis scheme. Tennis had always been a part of my life from the age of 7, representing Essex until the age of 18. I have travelled around Great Britain a number of times playing national and international tournaments. Won the national Aegon team tennis at 16.